And I see that @jarganscott is hiding. Welcome to Chrono! Did you know Chrono is in Texas? Sorry for ambushing you on Steam. Just happened to see your nick on Stash. And since I am idling there(Reading New Player’s guide)…LOL I friended ya. I am not a stalker…or…maybe not a bad stalker…OK… I stalked…Just nnot in a BAD way! Honest! I just don’t find internet communities to be frightening in that way. They trained kids like me in the 90’s to be the guardians of the internet world and we all just became stoners and meme-lords. Lol. At any rate. I just like hanging out. Also put out with social media in general and the effect it has had on society at large. Sometimes something that helps to dehumanize us as we congregate can be healthier than constantly bar/venue hopping or whatever I would do. Austin and all. I’m glad to know it’s based locally and seems a good group of weirdos. 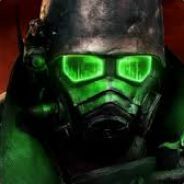 I need to get a better computer before I do any online gaming. Or much. Low end stuff would work. If you see me on I’d be happy to play whatever we share in common. I could use a little healthy stalking now and then maybe… At least we’re honest about it! 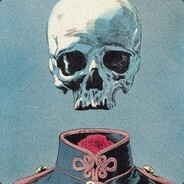 My steam account if anyone would like to add me. I have not played many games multiplayer online so far. Usually local multiplayer with my son and roommate. But if I had friends that didn’t reside in my house it for sure could be a possibility lol. @terryndonita, you might want to edit the “home” part out of the link… otherwise it won’t link properly. I don’t play much online MP either, mostly just single player games, but I like to see what other people are up to. Thanks @YQMaoski I think the link is right now. Yup, with the Onebox function working, it definitely is correct. I am late to the party but I added ya. Friends. What does that word mean? Of course I plan to decline this very suspicious invite… How does someone who does not yet have their Steam profile set up yet add others as friends? It just seems fishy to me.